Phantom 4 Pro Review. 2 Year Owner Shares His Thoughts. I’ve owned the Phantom 4 Pro for about 2+ years now, still love it, still fly it and I will detail all of my experiences with it throughout this article. Name: Phantom 4 Pro (Also labeled as P4P). Range: Up to 7 kilometers. Price: $1,499 for regular P4P, $1,799 for the P4P+ (I’ll go over this at the bottom). Camera Quality: 20 MP, shoots in 4k at 60 FPS and up to 100 mbps. Rating of product: 95 out of 100 points. A seriously sick, high quality drone. You will get incredible, high quality results from using it. This is one of the highest rated drones I’ve ever flown and had. Note: As of early May 2018, DJI discontinued production of the P4P and released an upgraded P4P V2.0. Longer flight time, better connection (ocusync) and quieter propellers. The other beauty is that the price is exactly the same ($1,499 for the regular bundle and $1,799 for the combo). So if you get a P4P V2.0 right now, it’s exactly the same as the P4P, with just a few extra perks and the same price! In other words, one of the highest rated drones I’ve ever reviewed is slightly better now! All links on this page point to it if you wish to see more info and reviews. 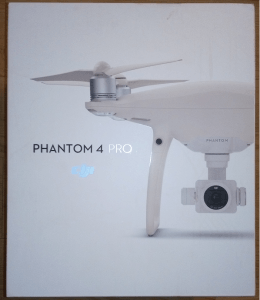 Get the Phantom 4 Pro V2.0 here. It was a big investment. $1,500+ for me isn’t something I can just “fork” out and the Mavic Pro did cost me over $1,000. But like I said, at that point I was addicted and I needed to get this one too. I have used the P4P for about 2 years now and have filmed some extraordinary things with it. Without a doubt, it is the most superior drone in terms of specs and camera potential (although the Mavic Pro 2 is right up there with it). 1) Let’s start with the camera. 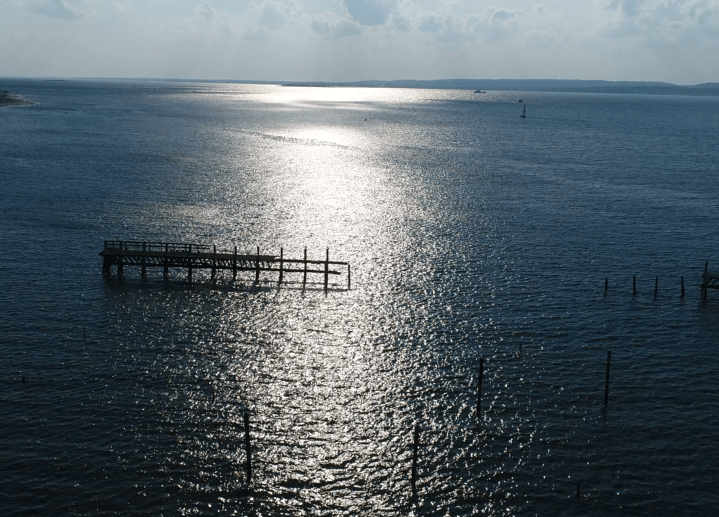 I honestly though the camera on the Mavic was amazing and more than good enough for me and I still stick by it since I fly that model when it’s convenient, but when I look at what the P4P puts out, it’s just next level. 20 megapixels of awesome is only the start of what the camera on this baby can do (I will provide personal footage shortly). It shoots in 4k, at up to 60 FPS (And it has 1 inch sensor which makes a huge difference in image/video quality, trust me). But you don’t need to know camera tech and spec numbers all that well to see how well the P4P films vs other drones and high end cameras. The camera, picture/video quality on this thing is HIGH level, professional in fact (no drone pun intended). Honestly whenever I go anywhere, provided the location I want to film in is open enough, the P4P is the first choice for me because I know the quality of footage I’ll get is the best there is. It’s just sickening how good it is and to this day, I look at what I am filming with awe. They key in that last picture is to notice the level of details in all the trees especially as you zoom out of the picture. This is something that is not present on other models, not even the original Mavic (see a comparison here). 2) Flight time. The best there is so far. What stuns me is a how a large drone like this, that weights as much as it does can stay up in the air for so long, let alone fly. But the fact is, when it comes to flight time, the P4P is top tier, at up to 30 minutes. I personally own 2 batteries just in case for this model, but each one will give you a substantial flight time. Most other models simply do not come as close to this. Note: With the upgraded P4P V2.0, the flight time is a few minutes longer, so 30 minutes+! Get it here. In the regular mode, the drone can fly up to 40 mph, in sports mode, I believe it’s over 50 mph (over 70 km). I honestly have no need to take it that far as I enjoy filming slowly and capturing the best footage I can, but people who enjoy the tracking modes available on this model may stand to benefit. P is the regular mode I personally fly in 95% of the time. It is the one which has all intelligent flight modes available. S is sports mode. 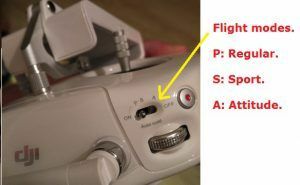 Keep in mind that any sensors and flight modes are disabled when you activate this, so be careful. A mode is known as “attitude mode”, aka the mode I will never recommend you use unless you’re an expert at flying. Basically any GPS sensors and flight stability turns off and the drone will not hover in one spot. Some people like to try this for the challenge, but I personally do not enjoy using this mode. However you are able to select it on this drone with just 1 switch, where as with other drones, this mode only happens only if you switch off all sensors and GPS manually. 1) Draw. You basically use your finger and draw any kind of line or circle and the drone will fly along that drawing. It’s almost like you draw a path and it flies it. 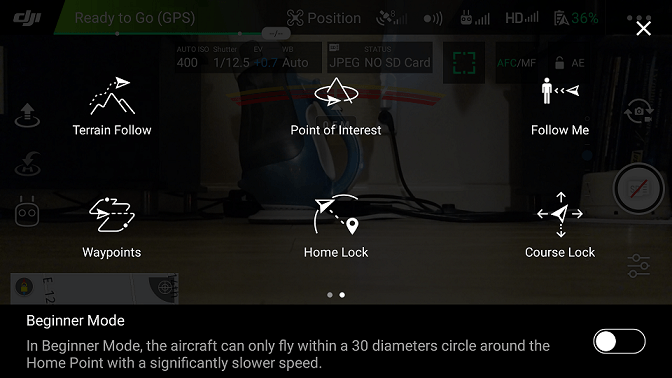 The use of this option is that if you want to film some sort of particular area slowly and steadily, this flight mode is superb. 6) 5 sensors. Amazing safety precautions in place. This thing protects itself a number of ways and the biggest is through it’s sensors. It has them on 5 sides, one on each (that makes 4) and one on the bottom (that makes 5). Really this key function is great and protects the drone from crashing. Another cool aspect of having so many sensors is that if you use ANY of the flight modes (let’s say the draw mode I talked about) and it flies along a line, and along that line is a hill, tree or any obstacle, it will go around or OVER it to avoid it and continue along the path you drew. 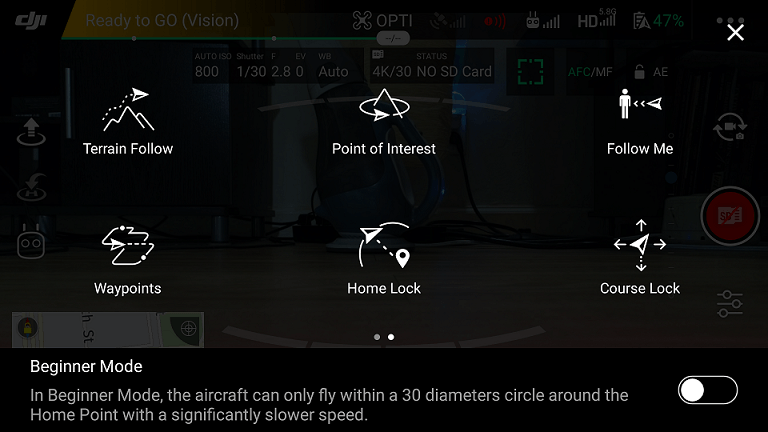 This sensor option also works alongside the other flight modes as well as if you personally pilot it on regular mode (not attitude or sports mode though). 7) P4P comes in an awesome package. I don’t normally talk about the contents of which a product comes, but I do have to talk about this one. When you ge the P4P (as well as any P4 model), you get it in a very protective foam package that is dense and keeps the model very safe. It also includes a handle so you can carry it easily. Though I elected to get a special bag pack for my model, I still think the default box you get is very handy and there’s many professional users of the P4P who would also agree with me. 8) Well the range is again, incredible. I’ve been able to get about 3.5 KM on a first try but decided to go back because I was too far into water and didn’t want to risk running out of battery, but this thing can probably go twice as far (I’ve seen a guy make it close to 8KM). As with many high end models like this, the higher up and the more open the field you’re flying in, the better the connection between the remote and drone (see details on range), meaning the better and longer it can fly. But range questions are for another article, another time. Just know this one can go VERY far. 9) Sturdy. Very wind resistant. There have been a few cases where I’ve flown in 30 mph winds and honestly, this model made it through without a problem, remained pretty stable and flying it was not an issue. It’s gotten to a point where if I see there’s a lot of wind outside, I don’t even worry about this drone flying in it anymore. 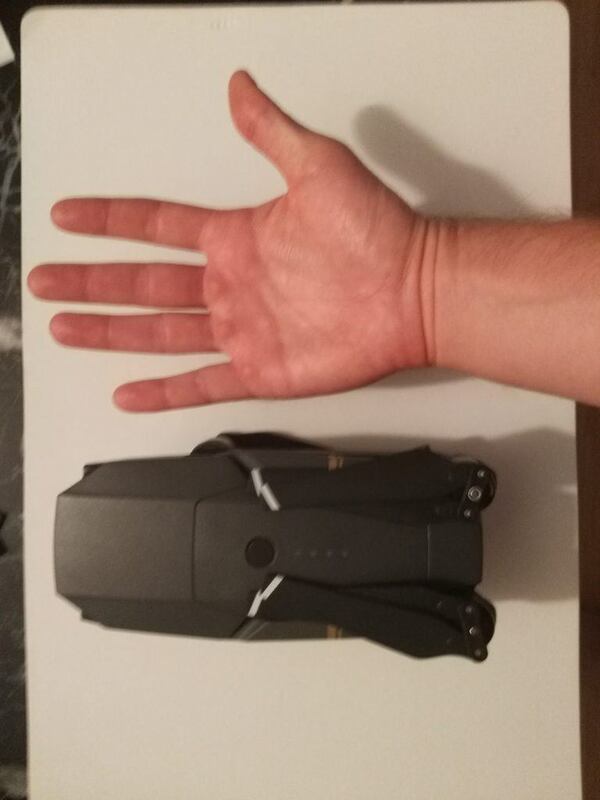 This is a big drone (see my hand comparison on the right) and if you’re the type who enjoys travels where you can’t keep this thing in a car, you will have to carry it in a bag pack and that can weigh down on you. I honestly don’t mind this, but some people may so I need to point this thing out. 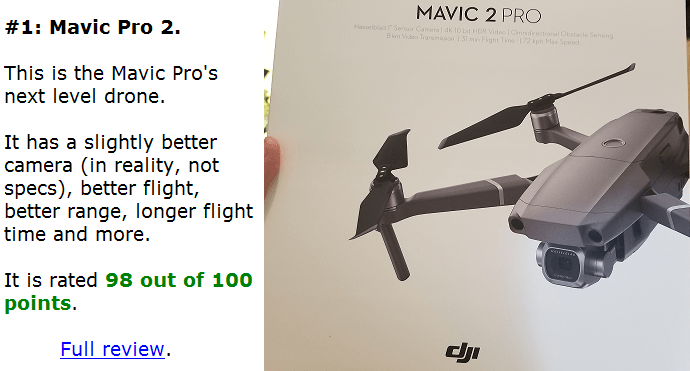 Obviously, with a high end model, the higher the quality, the bigger it gets (well the recently released Mavic Pro 2 proves this to be false) and naturally that means more weight on you. But if you can put this thing in a car (when it’s not hot out!) and carry it around slightly, this con won’t be an issue for you. You can adjust them to make them comfortable. When I got this drone, I didn’t understand the specs or settings and their numbers so I kind of forced myself to get used to the sensitivity of the P4P and learn to pilot it like that. But keep in mind this is another one of those “non” cons if you just adjust the controls to fit your flying/piloting taste. You can make it less sensitive when you adjust the settings so when you turn or fly the drone in any direction, it won’t do it as quickly and that may be more comfortable to you. Certain pilots may actually enjoy the default settings and prefer that. I’m just letting you know. If you take every single drone model available, the P4P is at a royal level. It stands at the top of the drone mountain alongside very few others. You can absolutely get professional level filming out of this thing and even the most professional photographers out there will confirm this. I’m very happy with it, even though I am not a professional. Drone enthusiasts should get it, and if you enjoy filming/taking pictures, get this model. 95 out of 100 points. Like I said, it’s a sick model (in a good way). Like I said, this model stands at the top of the mountain with a select few models. You will be thrilled and in awe over what this thing can do in terms of flight and just as awed if not more so by how great the footage will be, guaranteed. Any of the major models made by DJI typically have a regular package and one with bonuses such as extra batteries and other items. When it comes to the P4P, I originally got myself the regular package. That one is $1,500. The following package I recommend includes a number of pretty amazing bonuses and it’s also huge savings. I believe anyone who can spare a bit more should get that, although the regular package is awesome on it’s own as well. That’s the one I got, but with the understanding I gained by using the P4P more and more, I would have changed my original purchase for the one with the bonuses. Anyway, I hope this P4P, now the P4P V2.0 review helped answer all your questions. If there’s something I missed, do ask it below. I would love to hear what you think about the P4P and your experiences as well as questions on it. Bonus: A quick note on the P4P + (plus). If you’ve done research on this model besides just my review, you’ll know there’s also a PLUS add on to the P4P. If you’re wondering, it is literally the same exact model, the SAME exact specs and abilities, except you get a mobile device attached to the controller. The bonus is that you don’t have to connect your own mobile device or tablet and the one that comes with the plus model has higher lighting and faster load times. I personally don’t need this and if you’re clumsy and this breaks, it’ll be tough to get a replacement so the regular P4P is perfectly fine in my opinion. You can check that out here. How to Fly a Drone Safely. 10 Crucial Guidelines. Having flown several different drones in many dangerous areas over several months, I have 10 very important safety guidelines to share with fellow pilots. 1) Get a decent quality, beginner friendly drone. Honestly, the better quality it is, the less headaches and potential accidents you will have, especially if you aren’t a good pilot to begin with. The truth is that many models these days have very good safety mechanisms in place to help prevent hazardous scenarios, but the higher quality ones tend to make it quite unlikely that an accident will happen. For example: I went hiking with a friend of mine a few months back. I took the Mavic Pro with me which is a crazy good model, he took a very cheap, small one that cost him about $7. Now the Mavic on the other hand was a completely different story. It had all the sensors and safety mechanisms on it to land safely if need be, to avoid people and obstacles and other potential problems to keep the flight safe and fun. I really tell people that if they can afford a Mavic or Spark (the Spark is a bit cheaper), to get it. It’ll save you a bunch of headaches and give you an excellent flight experience. In addition both of those options have a setting known as “beginner mode” you can activate to make the flight super smooth, slow and easy to learn from. If you have intentions to film your adventures, get a higher quality drone, if not and you just want a toy, then of course get the super cheap ones. 2) Get one with sensors. 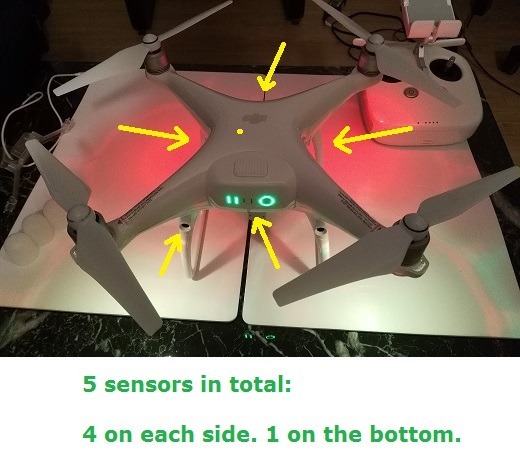 Sensors are a perk of higher quality drones. The ones I recommended in tip 1 (Mavic Pro & Spark) both have sensors to protect it from hitting obstacles and people. If you’re not a good pilot or are a beginner, having a UAV with sensors will really insure that your flight remain as safe as possible. The ones I’ve used have prevented me from hitting trees and birds (not people because I never fly close to them!). Now you can turn off the sensors and that’s actually another tip I’ll get to later because there are situations in which they may not serve you well. 3) Fly in open areas if you’re a beginner. The more open the flight area, the safer and easier it is to actually pilot the drone, especially if you’re a beginner. 4) Ensure you understand the flight surroundings well. Is there private property in the area you’re planning to take off in? 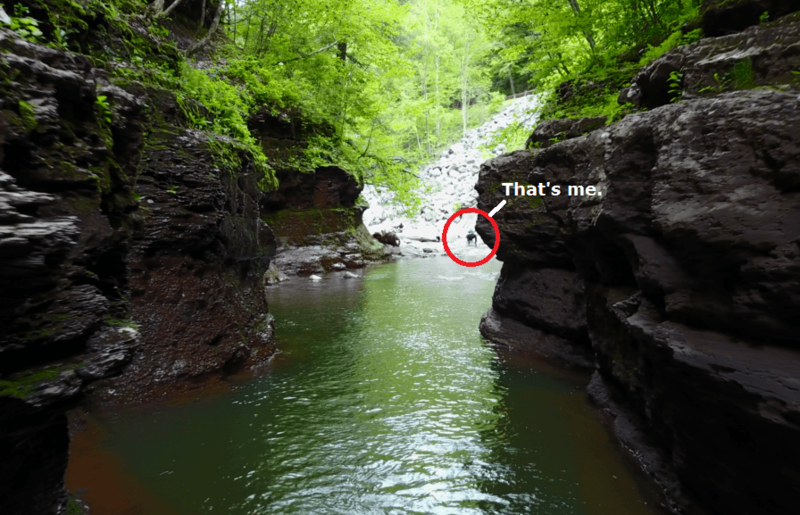 Are there people or wildlife there? Are you going over water? You need to understand that where you fly plays a crucial role in how safe the flight will be, which is why I recommended an open field for starters. 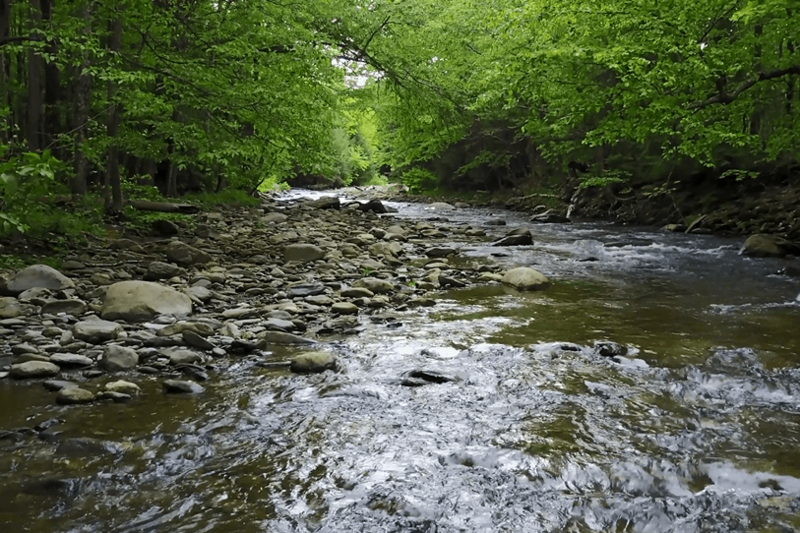 If you’re over water, make absolutely sure you understand how far your drone can go before you have to return it back, otherwise, it’ll land in the water and you’ll lose it. This is something you’ll better understand as you become an experience pilot, but stick to the 3rd guideline if you’re starting and slowly start to experiment with other surroundings as you gain that experience. Airports (5 miles at least), but you can request permission, no flying over people, ski areas and national parks and over open water when there’s not enough battery power to come back and/or the wind is too strong for the drone to handle (I’ll go over weather conditions in a bit). 6) Know the basic rules of “no fly” zones. One of the great things about higher quality drones like the Phantom, Mavic and Spark as well as basically any DJI products have is that they come with GPS maps and those maps will tell you if you’re in a danger zone (red) or a caution zone (yellow). Zones where you can’t go at all are generally red (you’ll get those if you’re near or in an airport, national parks and/or important landmarks like the White House). Another cool thing about the high quality models is that if you’re in a red zone or approaching one, the drone will literally stop and/or NOT take off to make sure you don’t break the rules. This is a great mechanism to keep you out of trouble if you’re unaware of your area and aren’t sure if it’s safe to take off/go into. Now if you don’t own a model that will tell you this stuff, the other option is to use a drone app. In any case, know the basic rules of flights and where they are generally not allowed (See the FAA site for details). 7) Know when to use sensors and when not to. Whenever I fly in forests (legally) or in places where there’s a lot of trees, you can bet there’s a lot of obstacles all around and while the sensors may pick up certain obstacles, say in the front, they may not be able to pick them up on the side or on top/bottom of them. Furthermore, if for example, you’re flying your drone and there’s a branch in front of you and the drone stops or brakes and pushes back and there’s branches behind it, you may end up crashing into the branches behind you. So if you’re an experienced pilot and are planning on going into a risky area, know which sensors to turn off and when. 8) Make sure if you lose connection, that the drone will be able to come back to you. A) Get a model which actually has this option available. B) Understand the surroundings so you can set it to go OVER any obstacle if it loses connection. 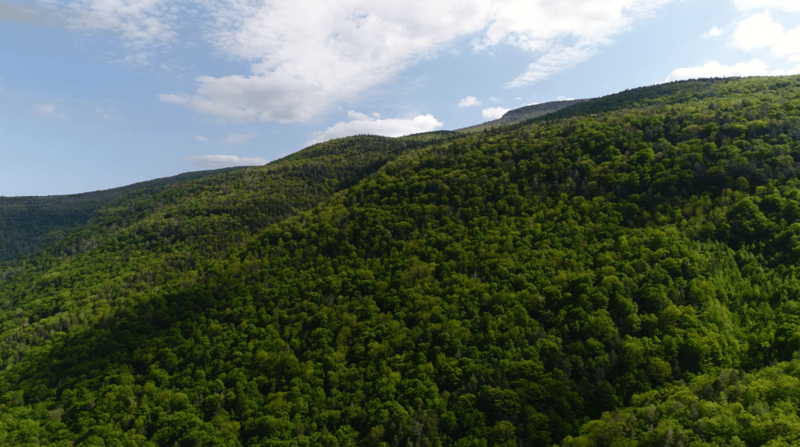 For example, if I fly my Mavic in an area where there’s a lot of trees and hills and they are generally 100 feet in height, I will set the return to home to about 150 feet, so if loses connection, it’ll go up to 150 feet first before coming back to me, but at the same time will avoid hitting any obstacle in it’s way. Obviously, never fly in the rain. Mist is a grey area though, however my opinion is that you should NOT go into the mist over fears of water drops getting into the propellers. The next biggest issue is the wind. Many higher end models are geared to withstand wind that is up to 30 MPH and honestly, it’s yet another reason to get the higher quality ones. But generally, if I see that the wind is over 20 MPH, I will not take off just to be safe but if I have to do it, I’ll take off but keep it very close to me and at a lower altitude (the higher up it is, the more wind it’ll have to deal with). Now adding to the wind scenario, understand that if you’re going against the wind, that it’s best to not go too far away, especially if you’re over water because the battery will drain faster and the model will fly slower overall, vs flying WITH the wind in which case it’ll move faster. These have been my experiences with common weather scenarios. Certain drone models come with “sport” modes in which case they will go a lot faster and drain more battery. It’s better to use that mode IF you’re in an open area, and the model is too far away from you, going against the wind while trying to come back to you and you need to get it back to you faster. With sports mode, it’ll be able to handle the wind better and have a better chance of returning safely, although keep in mind that in sports mode, all sensor functions are turned off, so keep it an altitude where you are not going to fly into anything or anyone. 10) Calibrate “everything” before lifting off. Every drone has calibration options. These options allow the model to understand where the directions are and will help the GPS and compass be more precise. It’ll also help the controls function better. Before every flight, check to make sure every necessary calibration (IMU, gimbal, sensors) are functioning well enough to fly. If they are, you will have a much smoother flight. Contrary to the paranoia effect you may get from this article, flying these things is quite safe. I like to use my UAVs very responsibly and by following these types of guidelines, I have managed to have safe flights and avoid trouble. Like I said before, it is better to have a higher quality model because they have a lot of safety built into it that will really help automate a lot of the guidelines I talked about, be it anything from the sensors to being able to tell you whether or not the area where you’re flying in is allowed or not. There are 2 sides to making this hobby a safe one: The pilot has to be responsible and the drone they use should ideally be of high enough quality to supplement the safety and responsibility. If you are also a pilot, and you have your own safety guidelines for this topic that you’d like to share, feel free! Is The DJI Mavic Pro The Best Drone Ever Made? My Review. It quickly became my favorite drone of 2017 and I loved it so much, that even in 2018 (and 19) I will keep using it. It’s just such an extremely convenient and all around great drone for anyone, beginners, intermediates, advanced fliers. The perks this drone has are what today’s high end models are mimicking. Typical flight time: 20-27 minutes per battery. Range: 7-8 KM (4-5 miles). 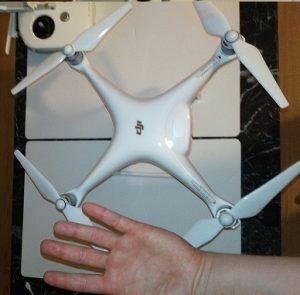 Size: Without the wings/propellers, it’s a little bit bigger than the palm of an adult hand. 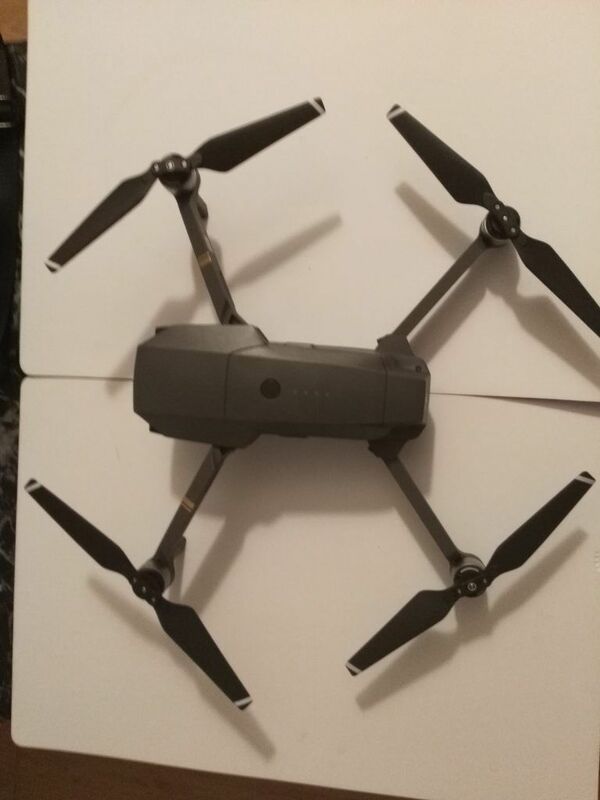 Price: $800+ for just the remote/drone. Combo package is $1,000 and I strongly recommend that one as it includes money saving extras. Camera quality: 12 MP, shoots in 4K. Honestly it’s amazing footage in my opinion. Rating of product: 85 out of 100 points. One of the most recommended drone I’ve reviewed so far. It’s fantastic, has an overwhelming amount of positive perks but I will also list a few honest cons about it. Get it here. I ordered mine and still intend to keep my original, but the MP2 is now my #1 recommended drone. 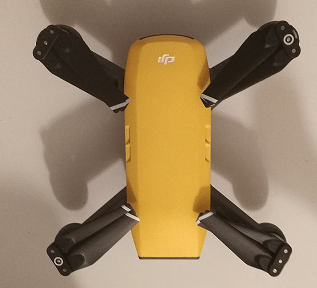 Click here for a full review and details on this drone. Currently, I have restructured my recommendation list. The Mavic Pro is still HIGHLY recommended, but while it was once the TOP drone on my list, it is now fourth. And #3 would be the Autel Evo, which was under the Mavic Pro at one point, but with updates, rose above it. Now while I listed these other 2 above it, they are not that much above it, you’re still getting a TOP of the line level drone in the original MP, so just know this. The first time I ever heard about it was from a Casey Neistat video where he reviewed it. On a few occasions he mentioned that it’s his favorite one too because of it’s portability and shooting abilities and I would have to agree with him in hindsight. And this is a guy who has many different drones, high end cameras and knows much more than I do about filming, shooting photos and making videos. 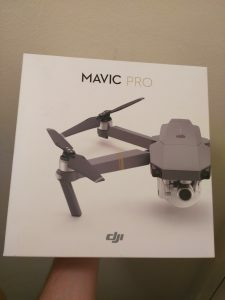 Although I first heard about it from him, I didn’t buy it until way later, after I had a bad experiences with a different drone (GoPro Karma) and was reluctant to make another big purchase. But in any case, after I looked at both Casey’s experiences and did a lot of browsing/research from other people, the choice was pretty clear in that almost unanimously, people agreed that this is a great, high quality drone. The very same day I got it, I took it to a park and invited my grandfather who loves anything technology related to come with me. I unfolded it, set it up as instructed, and flew it in beginner mode. Both of us were amazed because this was our first experience with it. From that point, we continued to go out, visit different places with it and shoot mainly videos. I also went on several road trips, took it with me and captured some amazing photos of mountains, flying over streams and in some very tight places. After I first got the MP 1, I was crazy about it and overtime, as I learned more about how to use it, the experiences I had from flying it, I learned a lot and have been amazed as to it’s capabilities, which there are many off (listed below). Before the Mavic Pro came around, any of the existing high end drone did not have much portability. 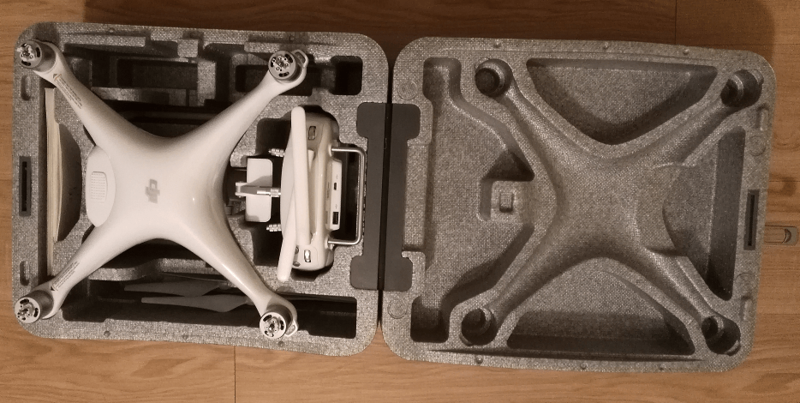 They were typically huge (Phantom, Yuneec Typhoon H), could not be folded and needed to be carried with large backpacks. This added a lot of weight to people’s backs who needed to do things like go hiking and reach a high point to start shooting. In addition to that, the set up of these large things was also a pain. You would have to do a checklist of things before you could fly (propellers, guards, firmware checkups, ect…). This added extra weight and time on your experience. Though you did get good footage in the end, it came at the expense of a lot of physical efforts in carrying it. However, that all changed with the Mavic. Because it folds up, is pretty small and light, suddenly those huge backpacks are no longer necessary. You can stuff this thing in a regular backpack or in my case a small briefcase I purchased for it. You don’t really feel the weight. Furthermore, the propellers are already attached to the wings as you can see which means there’s less time needed to set things up. Normally taking out this thing from it’s case and setting it up takes less than a minute for me. Afterwards, when I’m done filming, I fly it back, land it on my hand, fold it up, then proceed to go to my next destination. When it comes to portability and drones, the Mavic is the original KING. Now that we have another one called the Spark out, this portability is being copied over to other models, but if you want great footage and portability, the Mavic is still the best one to buy. 2) Camera and video quality. I’ve owned some decent phones with OK cameras and I never considered myself a professional photographer. To me the whole thing about buying expensive lenses wasn’t something to worry about and I didn’t even know what 4k meant before I got the Mavic. Then I looked at the video footage being produced by this drone (which can shoot in 4k), as well as the photos it was taking and that all changed, very suddenly in fact. I started looking at wonder at how such a little thing, with such a small camera could produce such amazing imagery and video and to this day, I am still stunned by it, despite my ever growing experience with drones and the other models I’ve gotten since. Tell me that’s not amazing! Do note, that the quality of the pictures you see are from the DEFAULT picture/video settings on the Mavic. You can TOTALLY adjust this stuff if you wish (here is a manual guide I use). I personally like to keep it on the default settings because I am not too keen on how picture/video editing works and I think the existing footage is good enough for me until I can figure it out better. I’ve had a few people and kids look at the footage and be floored by it’s quality and these are people who typically own iPhones and other high end phones that have some superb cameras on their own. Yet when they see the footage the Mavic produces, they are amazed. That says something about this product. Now granted, the footage isn’t DLSR quality (a very, very high quality camera) or the type of footage you’d see on something like the Inspire Drone, but I’ve got to tell you, doing a side by side comparison, the difference is not easy to spot and when you’re comparing Mavic’s picture/video taking ability to the most high end cameras on the market today, you’d find little differences between them unless you really look hard, that’s my personal opinion. Active track: This product will track any object you tell it to, be it yourself, a car, a moving object, ect… and will follow it while avoiding obstacles. Gesture: The drone is in the air, you put up your hands, make a gesture and it takes a picture. This can happen hands free, meaning you will not need the remote to use this. Way points. You can have this thing go to 3 different locations, record those as way points, then have it automatically fly around those points on it’s own. Point of interest. Imagine yourself sitting a top a mountain. 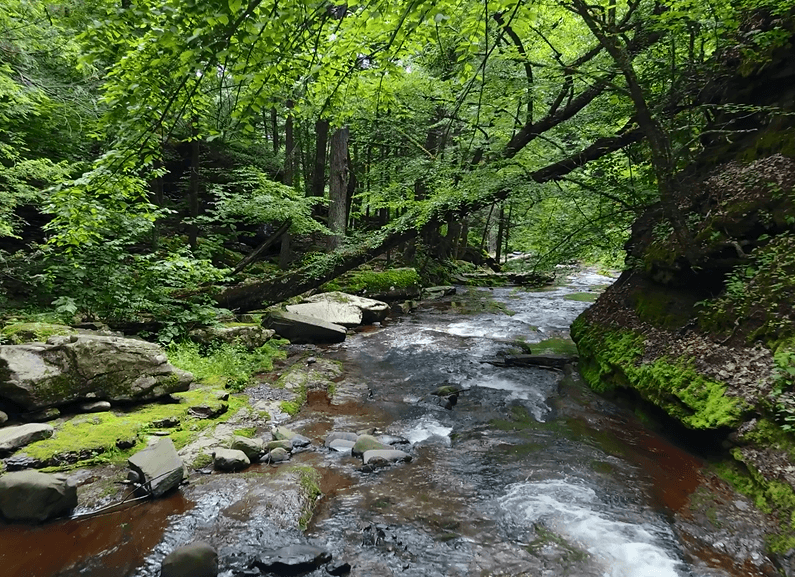 There is gorgeous scenery all around you, but you want the drone to show you in the middle of the video, circle around you and capture the scenery. This is where point of interest becomes awesome. You can have it set to use you at a “center point” and then circle around that point. Now it can also be an object if you want. Terrain follow. This is a form of active track, but in a different circumstance. Imagine you’re going up a hill and want the drone to follow you. Naturally, as you walk higher and higher, if it follows you in a straight line, it will get closer and closer to the ground. Luckily, thanks to terrain follow, it will not crash into it and will keep staying in the air away from the land. Home lock. It’s basically like point of interest, but the point itself is the home location set by the drone before it takes off. Follow me. I don’t know why DJI made this mode when you already have active track. It basically does the same thing, although active track in my experience appears to be superior and easier to use. Course lock. The product is set to fly in a particular line, but at it does, you can regulate the turn of it, WHILE it stays on the line of flight. I’d say this is a GREAT way to film yourself doing things like riding a car, bicycle riding, running, ect… as it adds an action type of footage to your activity. Tap to fly. 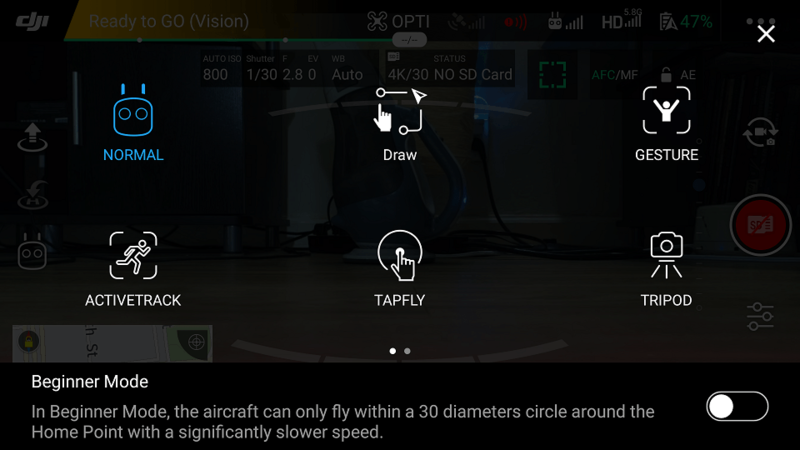 If you’re someone who doesn’t fly well and wants to capture slow, steady footage of an object or have the drone fly somewhere specific, tap to fly is the mode you need. Let’s say I am at a lake, see an island or mountain in the distance and want to capture a beautiful, slow, steady flight to it. I can select the island or mountain as the target and have the drone fly there on it’s own. Wing mode. The Mavic turns into basically a plane and operates like one swaying left and right when it flies forward. If you’ve ever played a game like flight simulator and had a first person view of the cockpit, this is what it feels like to fly this drone in this mode (just with way better images and video). Tripod. It’ll fly VERY slow and allow you to take slower videos and pictures. Tripod mode in my experience is best to use in very tight spaces where flying around like crazy is super risky. I have personally not mastered all of them because I haven’t had the occasion to test all the possibilities, but I do love the options. 4) Crazy range! Up to 7 kilometers. I will admit I didn’t test this personally, but when I said earlier I was doing research on the Mavic, one of the things I was looking at was the range. Some tests showed the Mavic hitting several miles in range, another went as far as 6+ miles which is well over 8 kilometers. In short, this thing is without a doubt one of the best for distance flying, provided you’re in the right altitude and conditions permit you to do this. Update: I’ve done range tests with the Mavic Pro, but in areas where there’s not much open space. With the exception of the Mavic Pro 2, the original MP 1 flies the furthest out of any drone I’ve ever tried. You can easily get several kilometers out of it in interference areas and way over 5 kilometers in open areas. This is one of the best drones to rely on for connectivity and assurance the connection between you and the model remains clear. This is thanks to it’s “ocusync” technology. Out of the 5 drones I’ve tested so far with the wind and just staying up in the air in general, I would say the Mavic takes the win in addition to the MP 2. It’s small yes, YET I have on several occasions took it outside when winds were hitting 15-20 mph, thinking there’s no way I’d be able to fly this thing, yet when it took off and I just let it stay in the air, it almost didn’t move from it’s original position. As for precision, the home point lock is as phenomenal as ever on this thing as it is on others (Phantom, Spark, ect…) meaning if you lose connection, fear not, it’ll come back to you (provided you set the return altitude high enough to avoid obstacles like trees and buildings in it’s way), otherwise you risk fly aways. I like a quiet drone. I don’t like annoying people or loud noises in general, so this thing is perfect for that. In addition, there are currently low noise props being sold for this model, which I got and YES it is way quieter and even more so, their difference in look actually gets the Mavic Pro an extra minute of flight time. In addition to being pretty quiet, because this thing is gray in it’s base color (there are skins available), it is VERY hard to spot so if you’re worried about people stopping by and giving you and your drone unneeded attention, it’ll be very difficult for them to do it if you’re flying the Mavic. I will never forget how on a recent trip I took, I was standing on a bridge flying it over a river and even when it was literally 13 meters away from me, and just a little bit above the water, I still couldn’t spot it. I could see the water moving from the wind caused by the propellers, but I could not spot the drone no matter how hard I tried. Now if I was looking for this thing and couldn’t find it, I doubt anyone who ISN’T looking for it, whose looking for trouble will spot it. Of course, you should NEVER use this thing to spy on others or do any other unethical/illegal practices. I’m just saying this thing has less chances of getting attention and attracting crowds, which I personally love. So many times, I’ve sat near a road and had the drone in front of me and had cars pass by me without realizing what I was doing. Had I been flying a bigger drone, it would have been easier to see for these people. If you keep it in the air and don’t move it, I swear, this thing can get over 40 minutes easy. If you fly it on normal mode, you’ll get over 20 minutes. If you fly it on sport mode, maybe 15 minutes. In any case, there is plenty of flight time and entertainment available on just one battery. 9) Perfect for flying through tough areas. Flying in an open field is easy, but I like to challenge myself and fly in areas where footage is harder to get and those flights typically are more dangerous for the drone because it can quite easily hit something and fall. I’ve flown on top of river beds with trees right above it. The space between the water and trees was about 10 feet. I’ve flown through “caverns” that were very narrow in width. I’ve flown through trees, underneath bridges and overall tight spaces that bigger drones would be nearly impossible to fly with, through those same areas. 10) Easy to catch and fly off your hand. I would practice this first, but in my cases, I often don’t have the convenience of finding a flat area to have the Mavic fly from, so I often resort to holding it in my hand and having it take off there, as well as land there. With the size of the Mavic, it’s pretty easy to do this, though be VERY careful not to bend your hand too much, because you then risk having the propellers hit your fingers which did happen to me once. Despite having sensors only in the front and bottom, they function quite well. I’ve had moments where I tried to fly in between a hill right a bridge right above it and the Mavic would NOT do it. Whenever I came close, the “air brakes” would activate and it would push back to avoid the obstacle. I’ve also seen videos of this thing completely stop when flying at full speed (which can be 20-35 mph), when a bird flew in front of it. 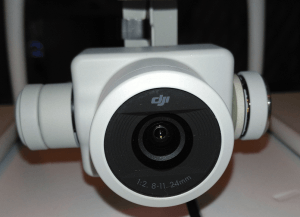 This is a great safety mechanism that DJI made and I love it. As I said earlier, I love the default footage, but if you’re really good at editing photos, you will love the extra ability to edit the imagery/video on this thing. This feature is only available on the highest end drones and luckily the Mavic fits into that class. You can change the control sensitivity so it can be a more comfortable flight. You can adjust when the battery should discharged as well as track when it loses it’s juice (or lifespan). In short, there is a lot of customization available for flights, the camera settings and much more to play around with. 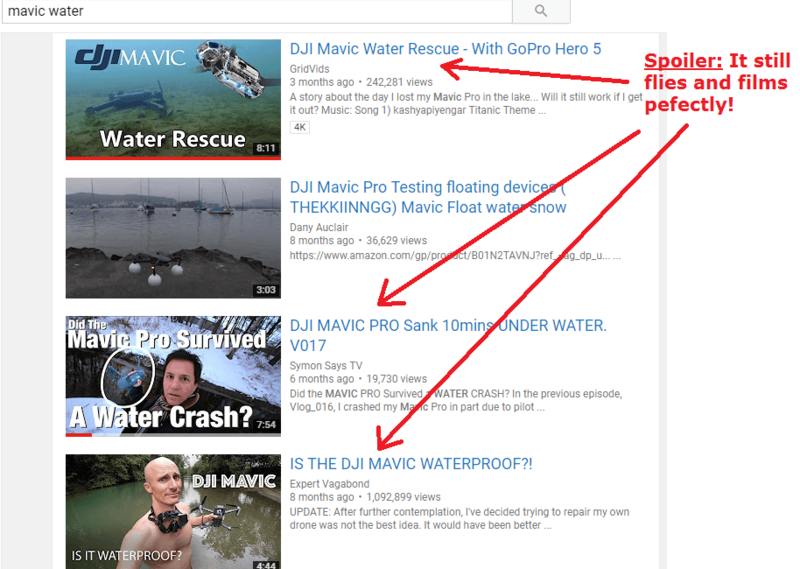 Obviously the Mavic is NOT waterproof and you should NOT play around with this, but the fact that I have seen this happen multiple times speaks to how amazing the technology and durability of this thing is. Here’s info on what to do if drones fall in water. Note: It’s VERY hard to crash this thing in my experience because there’s so many safety precautions in place and unless you turn them all off and fly in atti mode, it is pretty safe to fly this thing. Of course, you should be smart enough to not fly near people or places where you annoy people. 14) There is stunning imagery you can capture that would otherwise be dangerous with other models. The space here is about 5 feet wide and when you’re relying on the screen to measure the distance of the rock walls, it feels like they are inches away from you. I made this type of fly through several times with the Mavic. Had it been a larger drone like the Phantom, it’s sensors would have been going crazy within that same space as would my heart. Frankly, I would never risk such a shot with a Phantom or any large drone and that’s where the Mavic again stands out. While I don’t recommend beginner fliers risk such dangerous shots, the fact is, some places that you’ll want to film in require that risk and by doing it with the Mavic, you maximize the odds that you’ll actually do it (smaller drone = more ability to fly through these types of tight spaces). 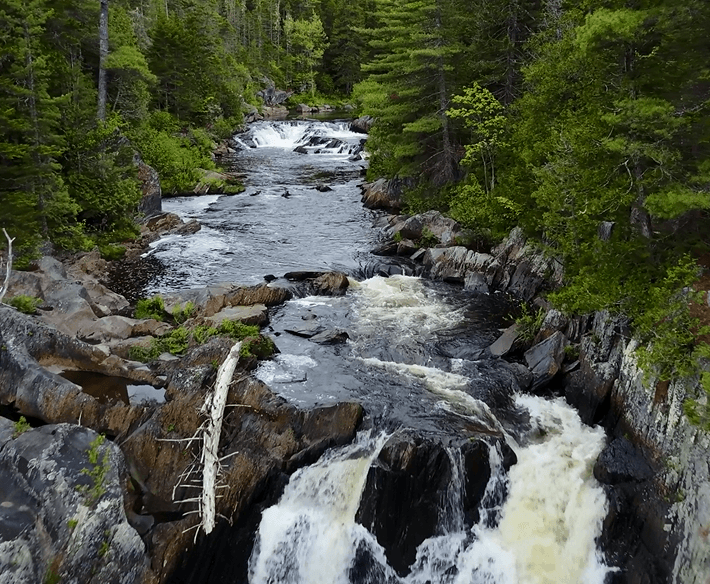 I’ve flown through numerous places like this with the Mavic and others that would frankly be impossible to do with the larger models and while my heart did beat like crazy, I did manage to get the shot and was very satisfied with the footage I would later see. The bottom line is, with the Mavic, you can risk taking more risky shots and that can often lead to some of the best footage you’ll ever capture. 1) I am not a fan of the “rope” they made for 2 of the wings. Though the wings are all unfoldable and portable, the front 2 wings have a “rope” tied to it which regulates the unfolding. From what I have heard, this thing can be used up to 5,000 times before it loses it’s grip. Now I ran the numbers for myself and came to the conclusion that I could fly and unfold this thing for years to come, at least 5 years, but it just doesn’t make sense to me why DJI would do this. Was it really that difficult to make the unfolding mechanism the same for the front wings as it is back wings (which don’t have the rope) ? 2) I would prefer there be an option to auto enhance images. While the footage is great, do note that sometimes you have to hit the screen to have it focus on all the details and bring out the potential of the camera. Again I don’t know why DJI did this. I don’t mind tapping the screen to enhance the image and get the better photo/video, but sometimes you can forget this. Update: Omit this con, there is a function to let it auto enhance, it’s within the camera settings you can check out on your phone once it’s connected to the remote/drone. 3) I hope they add more sensors, to the sides that is. Right now the only drone which as side sensors is the Phantom 4 Pro and Inspire 2. Everything else, even at it’s highest end has sensors on the front and bottom and as I said, I like to fly in tight spaces and often I cannot see the distance on the sides. But this is for me, someone who likes to fly in tough spots. 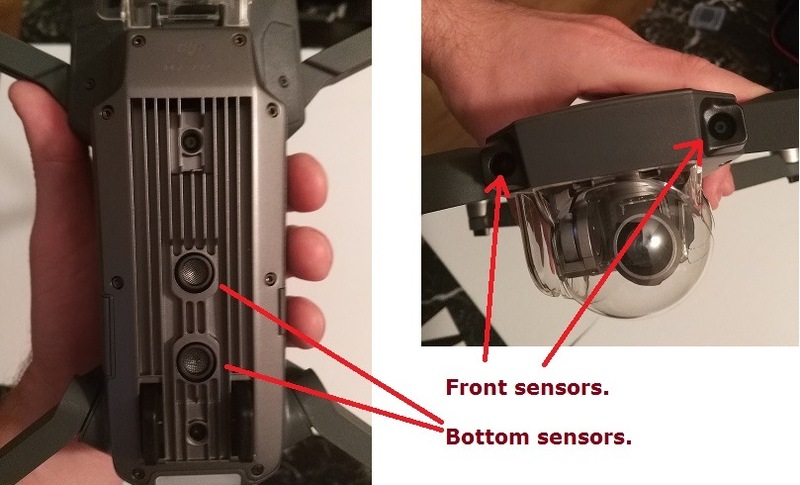 Update: Now the Mavic Pro 2 has up to 6 sensors working. Learn more here. As far as the market for drones goes in 2018, this is right up there, possibly even one of the best, depending on what you’re looking to get out of it. I own the Phantom 4 Pro and the Spark, as well as others (and will get more DJI products in the future), but the Mavic is amazing and I have honestly yet to see a single review, website or YouTube video which disagrees with this. A Lamborghini (Inspire 1 & 2). A very high end Mercedes/BMW (Mavic). Though the other sports cars (and drones) are expensive and more high end, you’re not exactly a “poor” man driving the high end BMW/Mercedes an the other ones on the market are like Hondas and Toyotas. They may be OK, but they are not on the level of those 3. When it came out in 2016, I would have said it’s the best consumer drone there is, even better than the Phantom 4 original. But because other drones did come out and were based on it in body and mechanics, the Mavic Pro did fall a bit BUT it is in my opinion a top 5 or even top 10 drone to this day. Th obvious answer is yes. Whether you’re a beginner to a professional photographer or flight hobbyist, this thing will make you very happy. It has a very minor downsides as I expressed above, but honestly, it pales to the excellence of quality, fun and experience you’ll get from it. 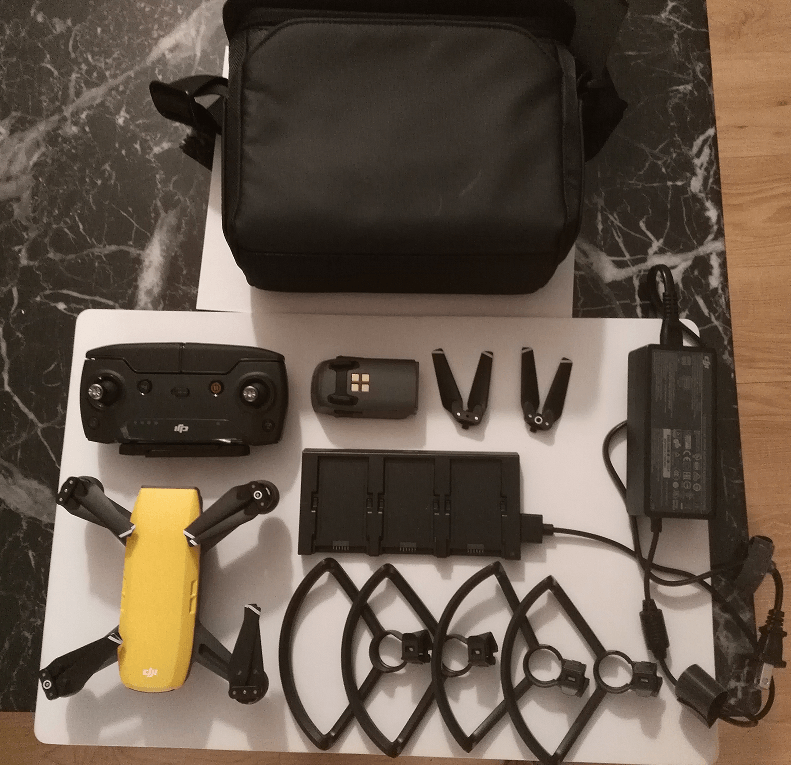 I purchased the regular $999 package (it’s cheaper now that the Mavic Pro 2 is out) and ended up buying several other things such as a battery, car charger, a briefcase for it and propellers. I should have spent a few extra hundred and I would have saved a few extra hundred because the package gets you more than if you buy all the other things individually. I made that same point about the Spark when I wrote my review of it and I would recommend it too. 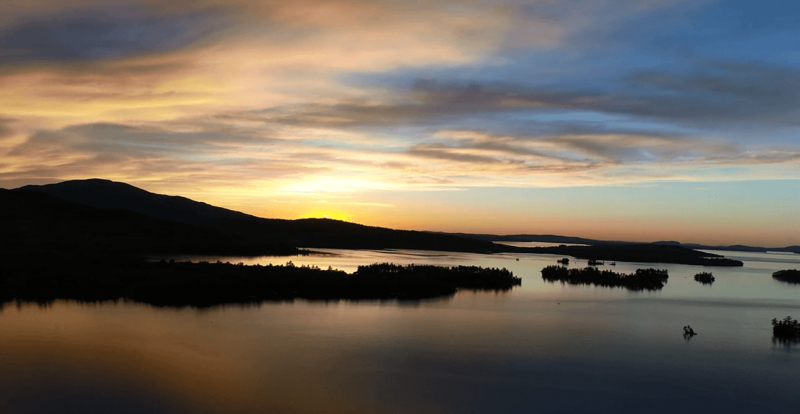 The package is $1,100, but with the extras in the package, you save $200-$300 on that, than if you decided to skip the package, buy the regular drone and the package perks individually and its well worth it. Note: I would also consider getting an Autel Evo (instead) as it is a better filming drone and has just about the same specifications as the original Mavic Pro. DJI Spark Review. Is it Worth Buying This Cute Drone? 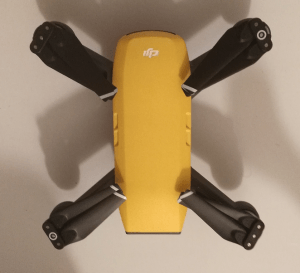 The DJI Spark was released in 2017 and having gotten my hands on it soon after, I want to give you all you need to know about it. This is my personal review. Flight time: 10-15 minutes on average for each battery. Size: The body is about the size of soda can. Price: $399 without remote, and $539 which includes a remote, an extra battery and propeller guards. Available colors: Yellow, white, red, green, blue. Camera quality: 12 MP, shoots videos on 1080p. Rating of product: This thing scores a 50 out of 100 points, which is considered OK.
I’ve had the Spark for about a month. Officially speaking, this is my “4th” drone and I say officially because one of the 4 which was a GoPro Karma, I ended up returning so I now “just” have 3. 1) This has become a hobby and collection for me. 3) I’ve had friends and family inquire if they could borrow my drone for filming their own things and I figured by giving them this one, I could avoid having to let them borrow the more high end ones like my Mavic and Phantom 4 Pro. 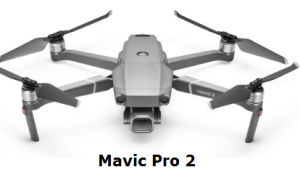 1st is the Mavic Pro 2. This one has all best camera and portability features so far. It has the best connection, best range, best reliability and most safety. Now there’s 2 versions of this, the pro and zoom, I own the pro. Full review. Rating: 98 out of 100 points. 2nd is the Phantom 4 Pro. 5 sensors, it’s sturdy, a camera just as amazing if not slightly better than the Mavic Pro 2. This drone has some of the best flight controls and is great for hobby and professional filming/flying. Full review. Rating: 95 out of 100 points. 3rd is the original Mavic Pro. Despite there being a Mavic Pro 2 on the market, I still keep, value and USE the original Mavic Pro, because it’s simply amazing. 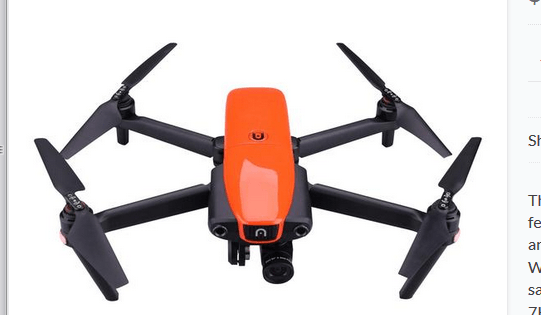 It films incredibly well, flies safely, has great range, flight time and more and the fact that there’s a second pushed the price of the first down. You can get it for less today. Full review. Rating: 90 out of 100 points. For a small drone, this thing has a great camera. Even a 1080p camera is STILL considered high definition and will produce great images and videos and yes, I tested this. And you can always enhance your footage to 4k if you’re crazy about this stuff. Forward and bottom sensors. Despite being small and much cheaper than it’s “high end” counterparts, this thing still has sensors that work incredibly well. Price is OK. For $499 and the controller pack for $699, this is a great price for a GOOD drone, I’d say. Incredibly fun and easy to pilot for beginners. Even for someone like myself, I found the Spark to be the most comfortable out of all the drones I’ve flown. It flies smoothly, precisely, and is extremely good at reacting to how you use the controllers (I own the controller package). Sturdy and resilient. While I am doing my best NOT to crash this thing, just by holding and feeling it, you can tell this thing is dense and sturdy, meaning it hits a wall, a tree or anything at it’s normal speed (not counting sport mode), it should be fine. I have seen several reviewers also comment on this perk the Spark has. Has a never before seen “gesture control”. This thing is cool to show off and adds a “hands off” experience that is worth using if you’re partying, climbing somewhere where holding the remote would be uncomfortable. You basically control the Spark with hand gestures. It can follow your hand in circles, go up and down, fly at a distance to take your pictures with a gesture, follow you around and fly back to you and then on your hand, all without having to use a remote. Battery can be charged via USB, while INSIDE the drone. This is another cool feature no other product like it has so far. Basically on the back of the Spark, there is an opening where you put the Micro SD in. 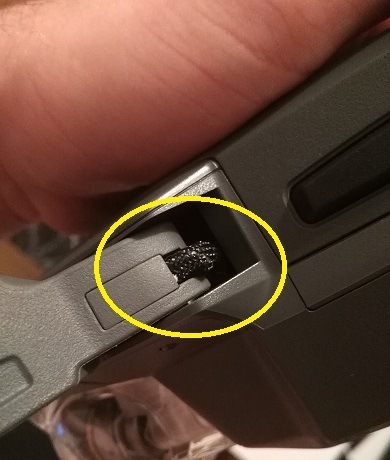 But next to it, there is a hole specifically designed for a USB cable. Considering this, you can charge the Spark while you’re driving, from an external USB charger, and whatever other means involving USB’s. No need to take the battery out anymore and put it in a special port and charge it through an outlet. There is an ability to fly this thing without a remote. 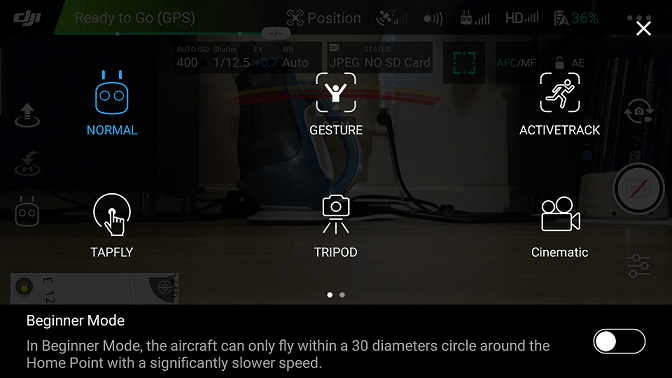 You “just” connect it to your phone and the DJI app and then you will have a digital remote appear on your phone to help you control it. Crazy range potential (with remote) considering how small this thing is. Over a mile is the distance limit so far. It’s very quiet. It doesn’t take long for this thing to be unheard or seen from once it flies away from you. And that’s great to avoid prying eyes or annoying other people who may not like to hear those things buzzing around somewhere. Basically, it’s very inconspicuous. I personally found it annoying to set up the whole thing. Ok, so if you’re new, basically, you have to have the remote, the drone itself an an app (in this case, the DJI Go 4 app). The app is what allows you to view what the camera sees. But you have to connect all these things together through a bluetooth. The first way is through your mobile device. The second is through the remote. Each has it’s own installation and I have found it sometimes breaks up when I try to connect, say the remote to the Spark. I will often have to re-enable the bluebooth on the Spark to help it see the remote. I do not recommend getting it without the remote. You should invest the extra $200 for the propeller guards, the extra battery and most importantly, the remote. Why? Because without it, the distance/connection you have with the drone is severely limited. We’re talking less than 100 meters without the remote and up to 1-2 miles WITH the remote, not to mention a MUCH more stable connection which means you won’t lose control of it as easily. There aren’t enough editing settings for the camera. Because there are limits on the camera for this thing, so too are the editing options. If you’re OK with a 1080p, 12 MP camera, you shouldn’t worry about this. Very short battery life. This was one of the reasons (besides the remote) that I got the extra package, because it came with an additional battery. While the average time is said to be around 15 minutes, this varies based on how you use the drone, meaning if you fly it around like crazy in say sport mode, you’re going to drain that battery far faster than say if you keep it hovering in the air. In any case, I would say 10-13 minutes was the average time I got per battery. I even recently purchased a third battery because even with 2, the fun time just runs out fast, especially if you have other people who also want to fly this thing. The gimbal isn’t designed to withstand the power of sport mode. Once you switch to sport mode, this thing becomes FAST, but at the same time, if you try and depend on the camera footage that is being displayed for you while you’re flying this thing in that mode, it’ll bounce left and right very quickly, sort of like an old arcade game where you flew planes in first person mode. Some people might like this for the action they get to feel while flying, but I personally enjoy using sport mode and seeing the gimbal stay stable, thus allowing me to film better. The Spark isn’t the type for professional filming. It’s got GOOD footage, but not GREAT footage. There is a difference. Like I said, you CAN enhance images and videos to 4k footage, but for an extra few $100, you can get yourself a Phantom 4 or Mavic which would have that capability from the start. I’m not saying you should, I’m just giving you the unbiased points of view on this thing. Overall, I do like this thing. I do NOT regret my purchase and I happily fly it today, even though I have higher quality ones. Like I said, out of all the ones I’ve flown, this was the easiest and most fun for me, as well as people who have also tried flying it. I think this is a GOOD drone and I purposely said good in capital letters. It is far superior to most of the others on the market. Though not better than the Mavic or Phantom, it has it’s unique capabilities those do not: Gesture control, easier to handle and quiet. If you are a collector, get this. If you are a beginner to this hobby, get this. If you want an above good drone in quality and flight, get this. This thing pretty much has the same capabilities as most of the higher tiered drones out there. If you want something with a high quality camera and longer flight time, look at something like the Phantom or Mavic series. 50 out of 100 points. A good product. The thing is, even though I listed a number of cons, none of them actually depreciate the value or quality of this drone. It is as priced as it should be and most of it’s cons MAKE sense. A smaller battery naturally = a smaller battery life. The camera isn’t spectacular, but it is GOOD enough for MOST people. The only things I really disliked are the set up and the lack of an extra gimbal engineering to stabilize in sport mode. Other than that, I love this thing and will keep flying it! I hope the future products released in this series will improve upon the cons I listed! You JUST get the drone and nothing else. So there’s $400. An additional battery: $50-$55 (with tax). 4 extra propellers (Not 2 like in the picture): $20. Total (if spent separately): $650+. You will NEED the remote. You WILL need an extra battery or two. You will need something to carry this. Even if you just buy that stuff, you’re still looking at well over $600, which still makes the combo pack less expensive, and you still get more through it. I learned my lesson with the Mavic and Phantom in that I should have gotten the combo packages as they would have saved me $100’s. I am happy that I did not make the same mistake a third time, with the Spark. Overall, I love this thing, it’s adorable, and again, VERY high quality.